In September 2017 Shiloh received a Big Lottery Fund grant to employ staff to help support the volunteer-led homeless support services in their new building in Masbrough. The staff are now working under the oversight of the charity’s trustees to continue and build upon efforts that help homeless adults become more independent. 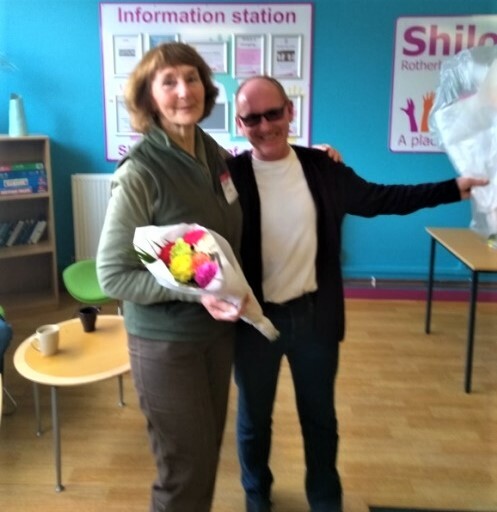 Shiloh continues to serve their guests 3 days a week offering a place of refuge with hot food, showers, clothing and laundry services but there is now a renewed emphasis on guest mentoring. They also have capacity to do a lot more for guests, which includes working more with organisations who can deliver training, education, housing and benefits advice. The volunteer mentor programme will start in May and will form a key part of their efforts to help all guests on their journey towards living independently. Gordon Armstrong, a recent ‘graduate’ from Shiloh says, “I really appreciate everything Shiloh does, and feel their great work should be recognised.” Gordon came to Shiloh very low on confidence and in need of food, clothing, housing and employment. Shiloh staff and volunteers supported him with his basic needs which helped bring stability to his life, which resulted in him finding paid employment. He is now fully independent with appropriate housing and is delighted with his new job working as an Administrator in an office.